The corporate world uses corporate gifts for several purposes. They strongly believe that giving away corporate gifts to clients or investors is perhaps one of the most ideal ways to appreciate their efforts towards the company. 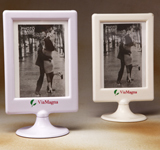 Corporate gifts have also been a popular choice among companies to gratify their loyal customers. Some companies purchase these items to also express their thankfulness to employees for their dedicated performances, while some simply use them to welcome people at business events. The purpose of the gifting varies from one company to another, but essentially it is to present them with a token of appreciation. Being a business person or owner of an organization, you may offer these immensely capable gift items to the individual on any occasion suitable. These items could be gifted in the form of incentives, bonus, loyalties, stock options and holiday packages. You may also rely on special insurance provisions, flower bouquets and silver/gold articles for your colleagues and associates to let them feel special and rewarded. To add more glitter to the gift, customize them with the name, address, logo and company name. The customization is probably the best thing that helps you to put an immense impact of yours on the mind of receiver. 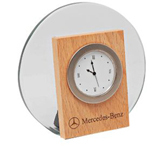 Corporate gifts come in a wide range of options and they are also available in different prices to match promotional budgets of every company. The pricing factor usually depends on the efficiency, quality or size of the gift item. After all, you know best how to ideally gratify your clients and customers. Exalon Promotion offers an extensive range of excellent corporate gifts such as Desktop Accessories, Photo Frames, Leather Products, Wooden Products etc.